The road to peace and development is strewn with numerous risks and challenges. The international system and order are constantly changing, and there are profound changes in the balance of power. All countries, whether developing or developed, are having to adapt to this ever-shifting international and social environment, while the process of modernization in some countries has been interrupted or has spilled out to create global turmoil as a result of the conflicts and contradictions brought about by cultural, religious and social transformation. At the same time, rapid developments in technology and society have had a profound impact on patterns of thinking, behaviour and interaction and on the moral principles of different countries and groups. They have also constantly challenged established ideas of good governance, including the functions of government in the globalization era and the pros and cons of the participation of non-government organizations. The changes and challenges are myriad: digital technology, mobile communications and the popularization of the internet, the coexistence of cultural homogenization and diversity, ethnic and religious conflicts, the collision between giant multinational corporations and national sovereignty, changes in social norms as a result of scientific innovations, the decisive influence of regional economies on national economic development, the constraints of climate change and the discovery and adoption of new energy sources. Cultural diversity and transculturalism have become part of people’s daily life. Confronted with such challenges, national leaders devise development strategies that reflect both the status quo and their long-term goals. Business leaders and entrepreneurs also invest substantial resources in studying the impact of the changing international economy and financial order on the development of enterprises. Experts and scholars focus on the efficiency of global governance and cultural factors that have quietly exerted great influence, and explore how culture and ideology enhance global and social governance. Such efforts and initiatives are moves in the same direction: towards reaching an in-depth understanding of the knowledge systems of the human community and the development of a ‘global cultural sphere’ beyond any single culture, state or nationality, under the condition of global governance. Thus, the theme of the development and governance of China, Europe and the world has gradually become one of the key research interests of scholars worldwide. China and the Chinese people are currently making an important contribution to the world order and shaping a global society. 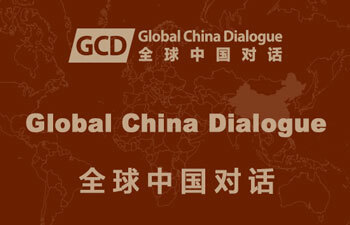 What are the important global issues that concern China? What are the Chinese ways of thinking and doing things with respect to global issues? We wish to engage Western audiences in dialogues on topics that arise from these questions, including development, education, economics, migration, the family, the environment, public health, human security and global governance. For nearly three decades, China has been implementing a ‘going out’ (走出去) policy to encourage its enterprises to invest overseas. 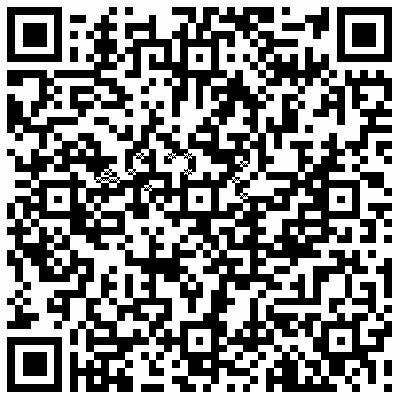 The policy embraces not only the economy but also finance, language, culture, sciences, technology, social sciences, publishing and the media, and under its provisions an international investment bank (亚投行) has been established. Through his visits to 55 countries, President Xi Jinping himself has promoted the Belt and Road (B&R一带一路) regional development strategy and China’s governance model (治国理政). In his recent visit to the UK, he said ‘As our capabilities grow, we shall shoulder more responsibilities to the best of our ability and contribute China’s wisdom and strength to the world’s economic growth and global governance.’ In his keynote speech at the United Nations Office in Geneva in January 2017 Xi Jinping clarified the basic principles of China's participation in global governance. They are stay committed to building a world of lasting peace through dialogue and consultation, build a world of common security for all through joint efforts, build a world of common prosperity through win-win cooperation, build an open and inclusive world through exchanges and mutual learning, and make our world clean and beautiful by pursuing green and low-carbon development. In order to jointly build the human destiny community, dialogue is inessentially needed between China and the world on the above mentioned range of common concerns that our mankind faces. The Global China Dialogue series (GCDs) focus on these issues to enhance public understanding of current global affairs and common interests through public dialogue and discussion between Chinese and non-Chinese academics, experts, professionals and practitioners and interested laypeople, from interdisciplinary and comparative perspectives. Global China Institute (Charity No. : 1154640; an affiliate member of the Academy of Social Sciences) has an overall mission of bringing comparisons with China into a worldwide conversation for the benefit of all. 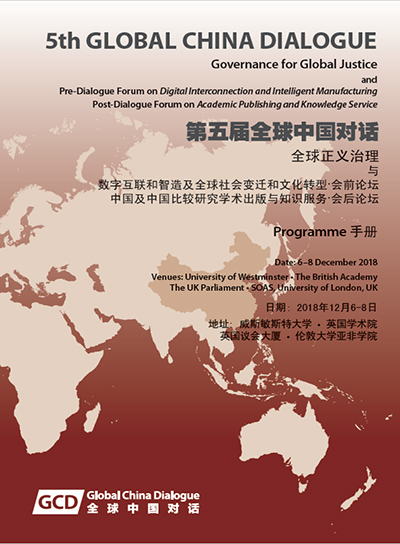 With its network and publications, the Journal of China in Comparative Perspective (JCCP) and book series, the GCDs aim to bring Chinese and Western thinkers together in debate and research that will generate shared endeavours to create a world that benefits all humankind. The GCDs showcase transcultural practice on global issues and governance by organizing events collaboratively between academia, government, international organizations and NGOs. The GCDs were founded by CCPN Global, YES Global (oung Entrepreneur Society Global) and UVIC Group in 2014. Official recognition came when GCD II became the only event to have a global and social scientific focus in the government designated 2015 Year of UK-China Cultural Exchange with the theme ‘Transculturality and New Global Governance’. It has received enthusiastic support from the Cultural Office of the Chinese Embassy to the UK, the Ministry of Culture of China, the British Council, the British Sociological Association, the Chinese Association of World Politics Studies, academic institutions and all the supporters and sponsors that are participating in this event. The GCDs are now organized by Global China Institute in partnership with the Lau China Institute, King’s College London, the China Media Centre of the University of Westminster, and Chongyang Institute for Financial Studies at Renmin University of China (RDCY), China.